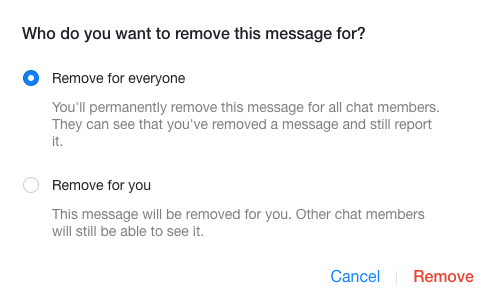 Thankfully, after months of testing the feature across the world, Facebook has today (February 6th) introduced a new feature that lets users delete messages from their conversations. Finally, the end of awkward conversations and humiliation! The new feature is being rolled out across all devices and is currently available to all users with the latest versions of Facebook Messenger on both iOS and Android. The new feature is available on both private conversations and group chats, but can only be used on recent messages. All you need to do is tap (or click) on the message you want to delete and select the “remove for everyone” option when it pops up. Hurry, though: you only have ten minutes to delete a message once it has been sent. The introduction of this feature brings Messenger in-line with Instagram and WhatsApp (Facebook’s other products). Once a message has been deleted, everyone involved in the conversation will receive a notification, but the message will read “You removed a message” – which is far less harmful than the potential embarrassment of making a mistake. Why is this update to Facebook Messenger useful? Not only does this latest feature spare users the embarrassment of sending a message to the wrong person, but it helps keep the community safe. Even though these deleted messages are removed from Facebook’s servers, the social media giant has said that removed messages will be retained for a “limited amount of time”, just in case someone is receiving harmful messages that violate the platform’s Community Standards. Why is Facebook so late to the game? 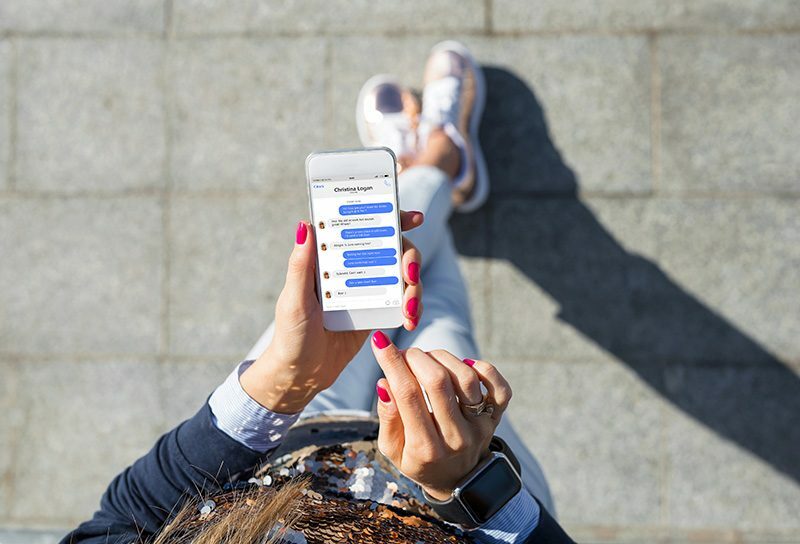 The ‘unsend’ feature has been long awaited to Facebook Messenger, after it emerged that Facebook company executives (including Mark Zuckerberg himself) have had the ability to delete messages whenever they wanted since 2014. After being rumbled last year, Facebook pledged to make the ‘unsend’ feature universal for all users – so at least they’ve delivered on their promise. Despite this, Messenger is still very late to Facebook’s game – both Instagram and WhatsApp were equipped with the ability to delete messages in 2016 and 2017, respectively. As the social media giant looks to position its platforms in line with each other (with seamless integration across channels and conversations that have end-to-end encryptions), it’s not surprising that Facebook has been forced to update Messenger to bring it in check with its other products. We’re glad to see that the social media giants, like Facebook, are starting to give users more control over the data they’re choosing to share, especially in light of recent safeguarding issues. Now that Facebook is making the effort to protect their users, let’s hope that the other social giants soon follow suit.